The Roques-High Park is a departmental domain at the "foot" of the Sainte-Victoire near Saint -Antonin on Bayon. It is the favorite place of many families in Aix to picnic. Do not worry, it covers more than 800 hectares, so you won't walk on you ! 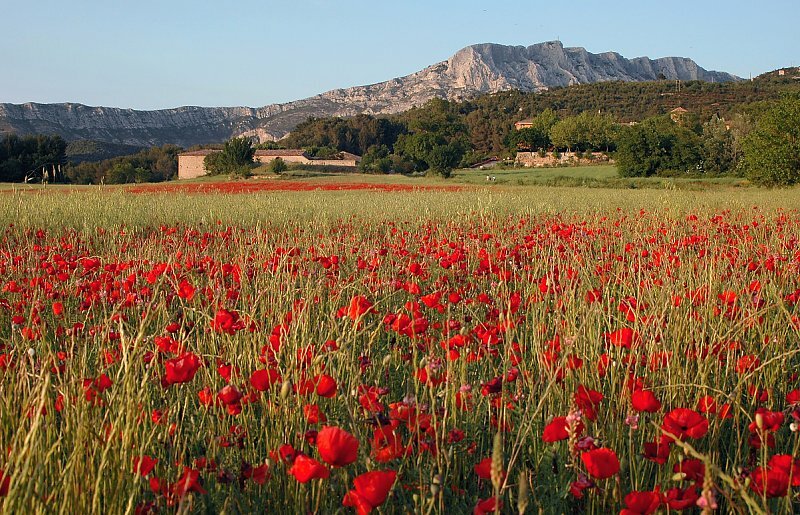 Very soon after the Aurignon parking, several clearings allow you to picnick in an absolutely magical setting : the Sainte Victory mountain's view, and on the Mediterranean vegetation. Here you can take the bikes, balloons and stay a while. Another day, we realized the hike between Bibemus quarries and the Bimont Dam. Again, we had a great time with the children. Magnificent points of view on the Sainte-Victoire Mountain or the lake with turquoise water. Very low gradient and picnic sites as you want ! This walk is prams, and everything is here for families. After this walk, we take the car to go visit the Sainte-Victoire house. The house has a museum space and an exhibition hall with educational value. The children enjoyed the visit and especially the films presented. 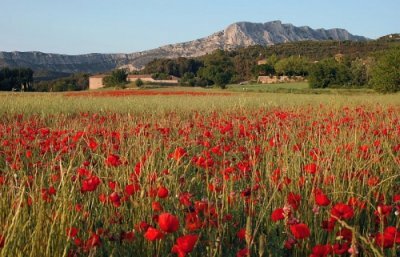 We learn many details on the massive of the Sainte-Victoire and the missions carried out there to preserve the environment. We also discover the many missions of the General Council on the environment about the areas it manages. All this is very educational for all ages. Good to know ! The Sainte-Victory house organizes guided tours of the massive for FREE. Sometimes these visits are quite affordable with children and sometimes they are really for families ! Learn about the proposed dates, it's really worth for all the family! This concludes our tour of the Sainte-Victoire. The smartphone application "My provence" lists no fewer than 80 circuits in the department : Whether you are in a car or motorcycle, walking, cycling, mountain biking, or even public transport, you always have a ready circuit where you stand. All are geo localized with dear different criterias of families: access conditions, duration, map, photos ... and do not worry, if you are afraid of not having network during your ride, you can download the track ! (Remember to do it before leaving). Beautiful city walks are also identified.